Dragon NaturallySpeaking 13 review, upgrade discount coupons and new version features overview. 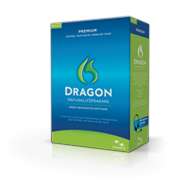 Dragon NaturallySpeaking is a type of speech recognition software for the PC. This software serves various functions through the use of voice commands with a microphone interface. These commands are usually used for text to speech dictation, but can also be used to transfer text to audio. Dragon NaturallySpeaking 13 can also be used as a voice command interface for your computer by assigning certain words or phrases to tasks. Dragon NaturallySpeaking is the leading voice to text software on the market and is used by millions of people. Most people use DNS as a blogging tool with the ability to write over 150 words a minute without the use of a keyboard. Others use it for work, school, or just an easier way to get their words on paper. Doctors James and Janet Baker released NaturallySpeaking in 1997. Today Dragon NaturallySpeaking is developed by Nuance, which is owned by Scansoft. The newest version that was released in October is Dragon NaturallySpeaking 13. This version offers quite a bit more features than the previous version. One feature is a much more streamline and user-friendly interface. While small, these subtle yet important tweaks can give you a much better experience like matching the tone of your voice much more closely. Other interface additions include a new android app. His app works just like the app in iOS devices by turning your android phone or tablet into a microphone for Dragon NaturallySpeaking. And if you aren't much of a blogger, Dragon 13 can be used directly with Gmail and Hotmail, two of the most popular free emails. Many of the interface controls have been pushed further out of the way of your text and have a much less chance of distracting you while using the software. There are still some alerts though in case there is an issue with the software or a word isn't exactly right. All of these new features are introduced in a tutorial when you first install version 13. The tutorial makes it easy for anyone who isn't familiar with a keyboard to write emails or blog with ease. This is especially useful for those older computer users who can't quite type as quickly as the younger generation. Dragon 12 features an advertised 20 percent increase in accuracy over version 12. The voice software can be further tweaked, however, to give you a 99 percent word to text success rate. The software will also learn from previous edits and changes to the formatting that will only improve over time. This makes Dragon 13 fit your voice and style to decrease the amount of time needed to write. The software also allows for multiple edits at one time instead of going through the whole text. For example, if Dragon 13 writes a name wrong you can make one edit that will correct all the names on the page simultaneously. The software will remember this edit and use it when the name is repeated in later sessions. Dragon NaturallySpeaking 13 is much faster than previous incarnations. This includes audio to text and application management. When asking Dragon to open a program it will open faster than you can find it with a mouse. With the increased speed, you will not have to wait as long after speaking to see if the wording is correct. Earlier incarnations of the software took quite a bit of time to process the speech into text. Dragon 13 is incredibly fast and will only continue to improve when later patches and editions come out, although version 12 is great already. 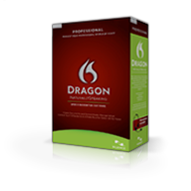 Dragon 13 works with all of the latest and most popular Windows programs and makes navigation a breeze. It's incredibly simple to open multiple windows and navigate between different tabs without using your hands. You also will not need to set up Dragon 13 with each program. It can immediately open any program and start typing right where you need it to. Even social networking can become a breeze with direct integrations with both Facebook and Twitter. Dragon NaturallySpeaking 13 is a huge improvement over an already great piece of software. If you are in need of a voice recognition device, then I would suggest Dragon 13. Sometimes it is just easier and faster to speak your words than it is to type them on a page. I would especially like to recommend Dragon 13 for those older people who might not know how to use a computer, struggle finding programs, and find it difficult to use a keyboard. Dragon 13 also condenses commands into single steps. For instance, one can say, "search Google for the weather today" and your Internet browser will open and immediately type in the command and search. These types of features are not just meant for those new to computers, impatient younger kids, the fast paced businessperson, or those who just like the latest new technology will all enjoy this too. For someone in the business sector, it will be like having a digital assistant. For a student, it will be easier to write a report when you just have to state your research with your own words. Dragon 13 is an amazing device that everyone can find a use for. If you are looking for voice recognition software there is no excuse to get anything else. Whether you need it or not is up to you, but it is just really cool to have sometimes. Like this review? Share it with your friends!